NASHVILLE — HIV/AIDS is not a thing of the past as most would assume. The number of new infections remains steady. In hopes of raising awareness about how HIV/AIDS affects the community, Women On Maintaining Education and Nutrition will host its third annual Diamond Champagne Brunch and Fundraiser from 11 a.m. to 3 p.m. Saturday, Aug. 27 at the Timothy Demonbreun House, located at 746 Benton Ave., in Nashville. Registration donations are $25 per guest. Guests can register in advance online at www.educatingwomen.org. Donations will also be accepted at the door on the day of the event. All proceeds will go toward improving and expanding programs and services offered at W.O.M.E.N. which enables them to continue serving hundreds of women and families in need. A full brunch with champagne will be provided and by the end of the event, someone will win a diamond. This event will also honor Metro Councilwoman Vivian Wilhoite and the Nashville Alumnae Chapter of Delta Sigma Theta Sorority, Inc. for their support throughout the years. According to data provided by the Tennessee Department of Health, in 2009 there were 4,900 reported cases of individuals living with HIV/AIDS, however the actual number may be higher because 20 percent of individuals with HIV/AIDS do not know they are infected. Also, statistics show that in Nashville, there were 400 reported new cases, of which 50 percent were African-American. W.O.M.E.N. 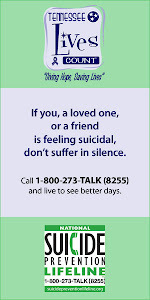 provides free HIV counseling/testing/referral, support, education, and nutrition services for people infected/affected by HIV/AIDS as well as those at risk for the infection. On Monday, August 24, 2011, Council Lady Vivian Wilhoite has learned that the Metro Legal Department has filed suit in the Davidson County Chancery Court to overturn the Board of Zoning Appeal’s decision that would allow for a digital billboard to be installed at the corner of Bell Road and Murfreesboro Road. The Board of Zoning Appeals voted in favor of the applicant to allow the digital billboard. After appearing before the Board of Zoning Appeals with other neighbors against the digital billboard, Council Lady Wilhoite penned a letter to Metro Legal Director Sue Cain on June 17th immediately after the Board’s decision urging that they file the suit. In the letter, Wilhoite agreed with Metro Legal's interpretation of “use” as a change going from static to digital and that the Board’s decision to allow a digital billboard would compromise safety for the motorist in that area. I have thoroughly enjoyed serving you for the past 8 years. Without a doubt, I will continue to be engaged in the community. Please join me at my final Community Meeting of my term as your Metro Council representative. This meeting will provide you with an update on matters that we have worked on over the years such as the new District 29 Fire Hall that has been funded and more. Also representatives from Southern Hills Hospital would like to share with you about some initiatives that will hopefully benefit us in the healthcare area. District 29 new FireHall is coming! Southern Hills Hospital wants to work with the community and fulfill the needs of the area. Youth Services detectives this evening are charging 68-year-old Marion Ingram with attempted especially aggravated kidnapping for allegedly trying to grab an 11-year-old boy in Old Hickory Thursday afternoon. The 11-year-old told officers that he was approaching Ray Avenue on his bicycle when he noticed a blue pickup truck slowly pass him. The boy said when he turned on Ray Avenue, the pickup truck began traveling in reverse following him. The boy pulled into the Ray Avenue driveway of his family’s landlord and knocked on the door. There was no answer. As he walked away from the residence, he no longer saw the truck, but did spot a man hiding behind nearby trees. When the boy went to get his bike, he said the man came toward him, reached out and said, “get in the truck.” The boy said when the man grabbed for him, he kicked the individual in the groin, rode his bike home and told his mother. The child’s mother said that her son arrived home terrified (slamming doors, shutting curtains and pushing a chair up against the door). When he relayed to her what had happened, the mother and the child got into her car and began searching for the pickup truck. She spotted it on Pitts Avenue. Her son confirmed that the driver was the man who tried to grab him. The mother recorded the license plate number and contacted police. Detective Mike Clark found the 1972 pickup truck and Ingram this morning at Ingram’s Elm Street home in Madison. Ingram has denied any involvement with the child yesterday; nevertheless, the young man has not wavered in his account to both detectives and his parents. Both the child and his mother identified Ingram from a photo lineup as the man they encountered Thursday. Anyone with information about any dealings between Ingram and children is urged to contact the Youth Services Division at 862-7417. This case is not believed to have any connection to recent reported attempted abductions in Clarksville and Mt. Juliet. Thank you to the 17, 560 for your vote! Thank you to the 68,115 that turned out to the polls to voted! The importance of voting cannot be overstated and all of you are to be congratulated for giving a voice to the concerns of better community essential services, education, public safety, economic development and yes, more jobs and better pay. Join me in a big congratulations to Megan Barry, Tim Garrett, Jerry Maynard, Ronnie Steine and Charlie Tygard on their successful bid. I truly wish them the best of success as each enter their 2nd term as Council members At-large. 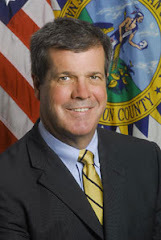 I congratulate Mayor Karl Dean and Vice-Mayor Diane Neighbors on their successful re-election. I know that they will continue to serve us well. Additionally, congratulations to all of the individuals that won their district council race. Public service is my life time commitment. With that said, I know that I will be seeing many of you again. Thank you for allowing me to serve you. I cannot say enough about the wonderful journey that you have afforded me the opportunity to be apart. Working for ALL of the people of Nashville Davidson County is something that I do not take lightly. Without your support and your vote, none of this could be possible. We have accomplished much together. Still there is more to do. I ask for your vote to afford me yet another opportunity to continue to work for you on the issues of community services, public safety, economic development, a better educational system and a raise for our metro employees who help to make our city and county the best place to live, learn and raise a family. under the heading of Council At Large, in the second column and next to the last name on the ballot. 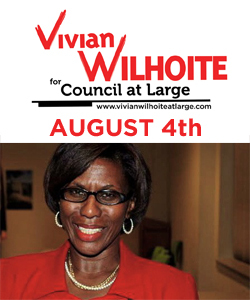 Make Vivian your chosen public servant for Metro Council-at-large. "I will continue to work hard for you!"